"The live action action remake of the Disney animated classic succeeds in capturing most of the magic of the original." Beauty and the Beast is the live action version of the Academy Award-nominated animated feature film, directed by Bill Condon, and starring Emma Watson, Dan Stevens, and Luke Evans. 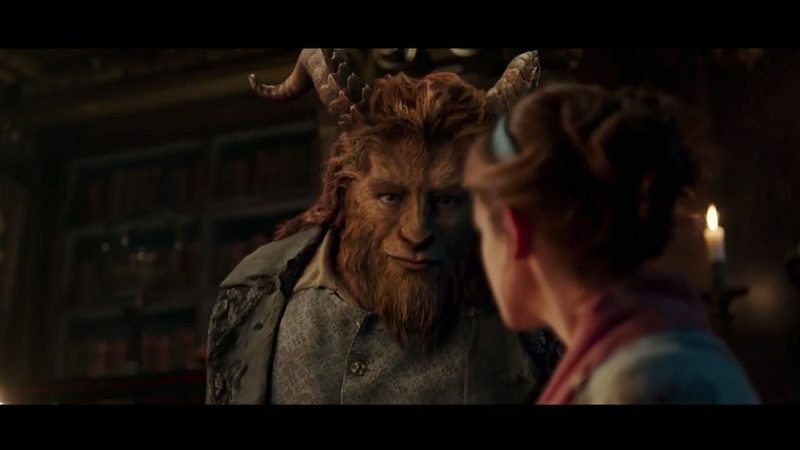 Beauty and the Beast follows Belle (Emma Watson), a bright and beautiful young woman who has been taken prisoner by a hideous beast (Dan Stevens - Downton Abbey, Legion) in his enchanted castle. During her stay, Belle befriends the staff who happens to be inanimate objects, and soon finds out beneath the beast’s hideous exterior, lies the heart of a kind and gentle prince. 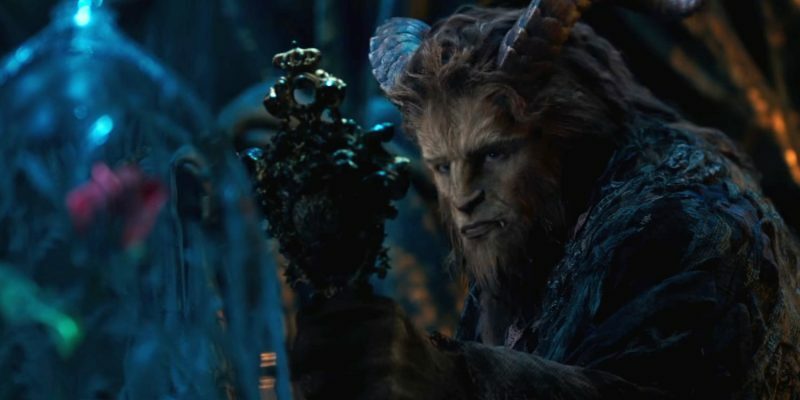 Beauty and the Beast is not only a great story due to its leads, it also has unforgettable supporting characters, including Ewan McGregor as the candlestick general Lumiere, Kevin Kline as Belle’s equally headstrong father Maurice, Josh Gad as the love-struck sidekick LeFou, and a standout Luke Evans as one of the greatest villains of all time, Gaston. There is not much of a difference between this film and the 1991 animated film. It's pretty close to a shot by shot remake. There are some questions that were left unanswered in the original, that were answered here such as exactly what happened to Belle’s mother, and a more humorously defined relationship between LeFou and Gaston, but it was worked in well here. If those two topics, in particular, were left alone, it would have given the film plot holes. Gaston has a lot more screen time and Luke Evans makes the most of it every time he’s on camera. The writers knew exactly how much of an audience favorite Gaston is, so they fleshed out his character and made sense of exactly why he is so evil. He’s not just a boorish jerk, but also a war veteran, who seems to feel very much at home in that role. His pursuit of Belle is not only because of her beauty but also because of the fact that she keeps resisting him and makes him work for her. The other women make it too easy. Here, it works and makes him more entertaining. 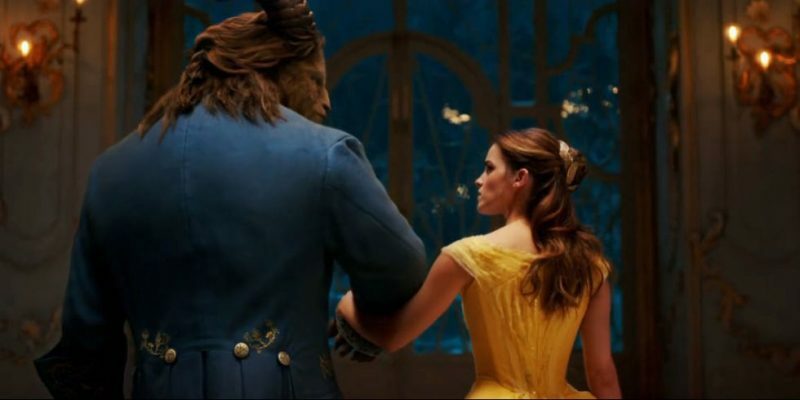 Emma Watson makes a good Belle and Dan Stevens makes a good beast, but their relationship is what the movie to make it excel. Their chemistry is good, but it's not great. But their chemistry or lack thereof, does not make or break the film. The tone of Beauty and the Beast is so whimsical and hopeful, you are able to forgive flaws that would otherwise take you out of the film. The scenery is so well designed, the music is so perfectly arranged, and the talking objects are so happy and helpful. The citizens of the town are so animated, they speak in even beats and walk abruptly. The dance scenes are so well choreographed and shot. There are no slow parts. The filmmakers did not capture the exact tone of the original, but it is really, really close. The only nitpick that I have is the musical numbers with the objects in the castle. “Be Our Guest” is one of the most famous musical numbers in a Disney film ever, but here in live action form the magic is kind of lost. The CGI is perfect of course, but there lies the problem. The charm of certain things cannot be replicated, no matter how many technicians you have. Beauty and the Beast is a really good time. It’s charming, it’s beautiful, and it’s a good job of bringing a timeless story literally to life.